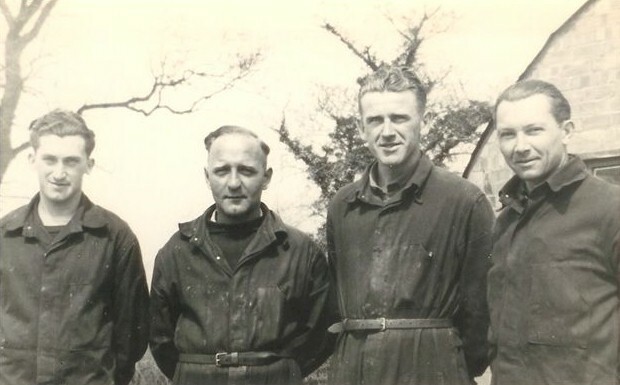 Debach was not only an 8th Air force Bombing Aerodrome but from late 1945 to 1948 it was then used to house German POWs. This camp was known as 273a. 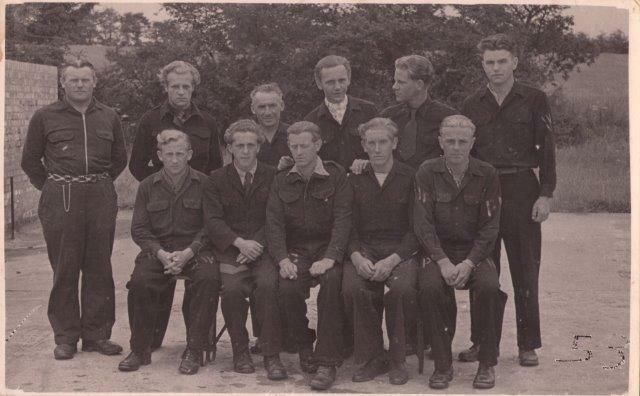 The gentleman on the left of the photograph above has recently (September, 2013) been identified as Walter Linderman, a German POW at Debach. Many thanks to Jayne Watts, his grand daughter, for this information. In September 2016 we were contacted by Connie Held who told us that her Father had been a prisoner at Debach and that she had photographs. Two of these are shown below. 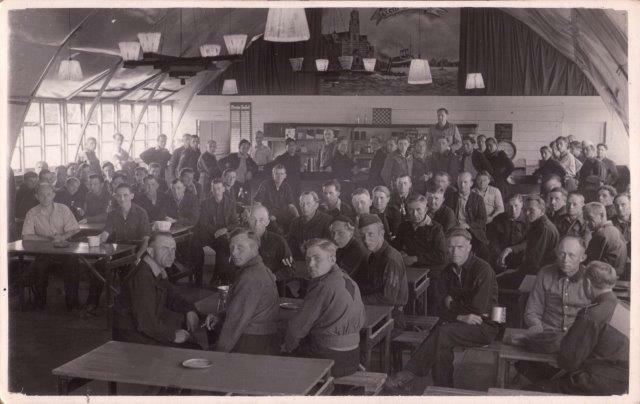 Connie's Father, Horst, can be seen in the canteen in front of the counter in the center of the photo. As the nations fighting men were away there was a shortage of men to work in agriculture and other rural enterprises. The prisoners were mostly transported to such places of work by the local County War Agricultural Executive, the nearest being Melton, although it is not unknown for prisoners to be allowed to live at their place of work usually on farms. Prisoners would work on the land, on the farm buildings, in the woods and at sawmills etc. Our large Nissen hut Museum contains, as well as militaria, a collection of objects made by POWs during the time they were prisoners. Our collection is quite rare though we know of 2 larger collections in Yorkshire, Eden Camp and Harperley in County Durham, as far as we are aware our collection numbering 40 – 50 items is the only one in East Anglia. Most of our items are on loan as the owners are sentimentally attached to these objects from their childhood or connected to their parents or friends. The Curator of this collection is Richard Kelsall of Framlingham who remembers having toys made for him by German POWs working on his God Fathers farm at Alrewas in Staffordshire. Alas he doesn’t have any of these now but his wife recovered 3 items when the attic at the family farm was cleared. These are now in the collection being “Pecking birds” which are quite common a “wooden bird on stand” and a rare “square rigged boat at sea” but this has suffered the ravages of time and mice in the loft! Richard’s wife’s Aunt in fact married a German POW who after he was married came down to this farm near Diss and said “I’ve been here before!”. He was first a prisoner in Canada, where he often had steak to eat but later arrived in Great Britain where things were much harder. Farmers wives would give milk or potatoes to the prisoners or perhaps a cake and in return for this kindness the POWs would make things as presents. They would use whatever was to hand and were very skilful using primitive tools, some of the objects we have are exquisitively made, others a bit crude. We are always looking to enlarge the collection and remember anyone who loans retains ownership. In 1948 a large number of displaced persons were billeted at Debach. Unfortunately, there is very little information about this period. However, recently we were shown an album owned by Mr Michael Shearing of Grundisburgh containing photographs of Lithuanian refugees during their stay here. We have scanned these pictures along with a letter to Mr Shearings relative who worked in the camp at the time. Our thanks to Mr Shearing for allowing us to use these photographs, some of which are shown below. To our amazement we were contacted by the Family of one of our Displaced Persons who had seen the photographs above. Then to our delight, they asked if they could visit us at the museum and bring along Barney who was actually here as a Displaced Person. 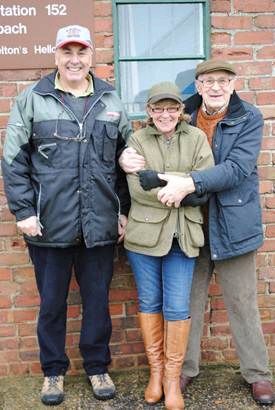 The family arrived on a cold winter's day Christmas Eve 2012 where we had great pleasure in showing them round on a personal tour. As you can see Barney is still fit and well and didn't stop smiling and talking through out the visit.